Fruitnet is a global information centre for growers, distributors and retailers of fruit and vegetables. The client wanted to bring six online publications and multiple subscription databases into a single portal, with a unified subscriber database and more efficient subscription processes. 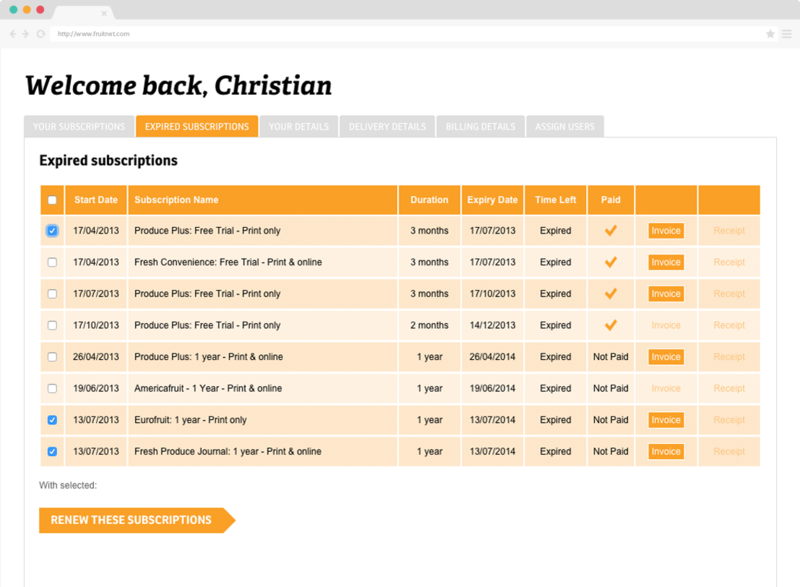 Evosite consultants also worked closely with Fruitnet to define the subscription options that their customers would find most useful. We then designed and executed streamlined and enhanced subscription pathways and sign-up forms to meet those needs. 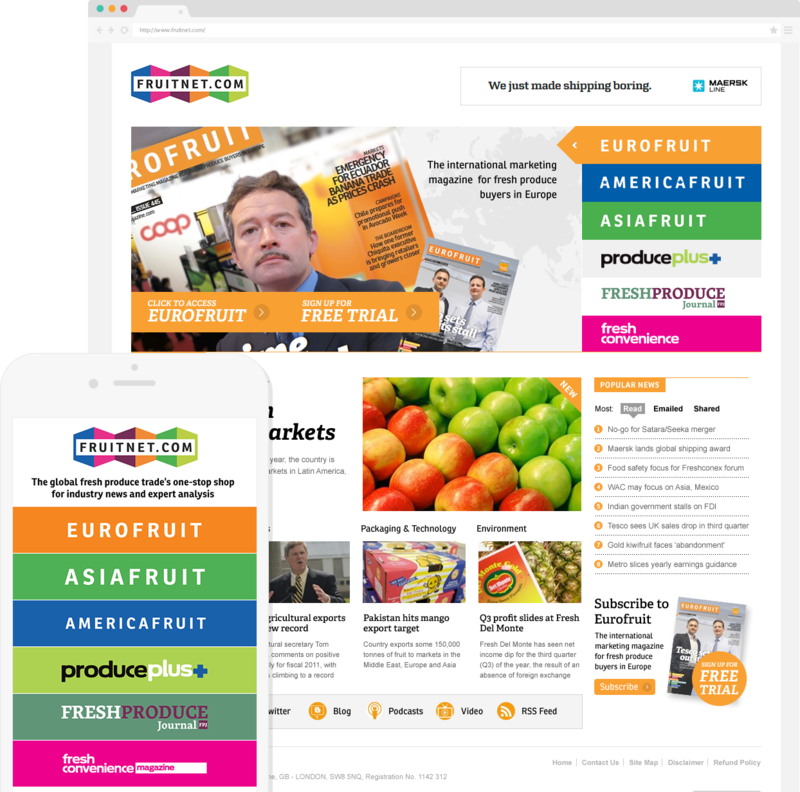 Fruitnet proves the flexibility of the Evosite CMS. 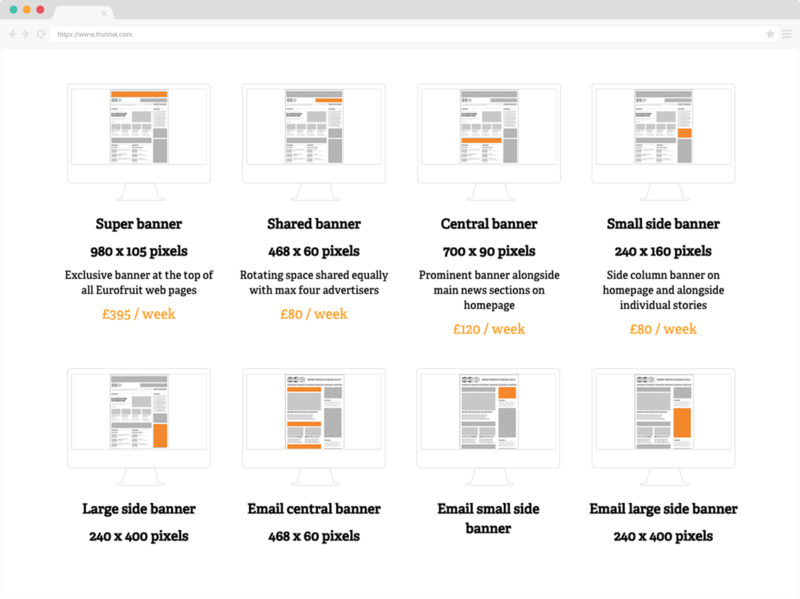 You can operate as many different sites as your business demands and still keep content management straightforward and efficient. Our experience with managing complex databases ensures that all of Fruitnet’s users and subscribers get exactly the right content. For example, a business can now sign up multiple team members for specific publications without each individual having to register separately. This is easier for subscribers and ensures there are more potential viewers for online advertisements. The subscriber management system was designed after much consultation and research. This was partly to make life simple for Fruitnet subscribers, but was also intended to drive up subscriber numbers by offering flexibility and simple management tools.For example, a business can now sign up multiple team members for specific publications without each individual having to register separately. This is easier for subscribers and ensures there are more potential viewers for online advertisements.